Shiloh homes for sale on the outskirts of Santa Rosa CA. Shiloh is a gated community offering exclusive wine country estates. Shiloh homes range from $2M to $8M with most homes in Shiloh in the $3M range. Homes are private estates on 40+ acres and Shiloh provides security and privacy with easy access to the best Sonoma wine country has to offer. One of the most exclusive neighborhoods in Sonoma County, Shiloh real estate and Shiloh homes for sale offer a one-of-a-kind experience. No expense has been spared in the building of these beautiful custom homes, many with panoramic views. The private, tranquil grounds of Shiloh provide a respite from the hustle and bustle of the city. The stunning scenery makes Shiloh a favorite of its residents. Active Shiloh CA residents enjoy many recreational activities at nearby Shiloh Ranch Regional Park. Windsor CA offers fine dining, specialty shops, wine, coffee, and confections, a farmer’s market, and many opportunities to shop and play before going home to a luxurious Shiloh CA home. Also nearby is the captivating town of Healdsburg CA, with its Old California charm. Many residents of Shiloh CA enjoy membership in the Mayacama Country Club, a private golf club with tennis, swimming, bocce, and a wonderful spa. The best wines and incredible food round out the experience for Shiloh CA residents. Minutes from the Sonoma County Airport and about sixty miles north of San Francisco, Shiloh CA homes are well located for ease of local or world travel. 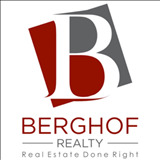 Ernest Berghof of Coldwell Banker Real Estate is ready to show you exclusive Shiloh CA real estate for sale.